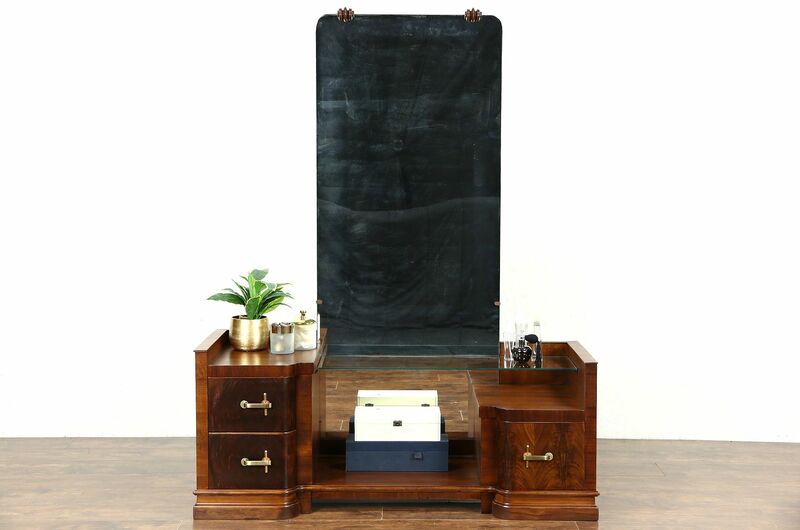 A dramatic Italian Art Deco period vanity, dressing table or hall mirror dates from the 1930's. Matched mahogany has an excellent restored finish with warm patina. Brass hardware with bakelite inserts is original on this stylish vintage furniture. The mirror has minor losses and a bit of "smoke" for a little character. Measurements are 52" wide, 20" deep and 67 1/2" tall.